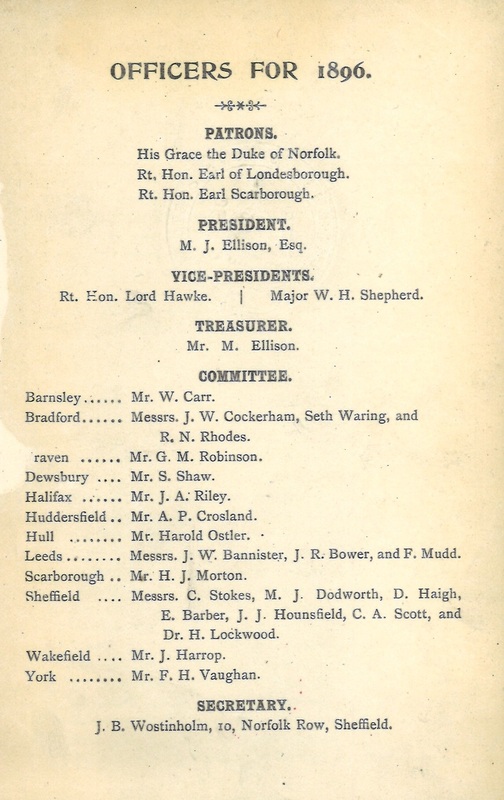 The Local and Family History department at the Central Library has a strong collection of books and other material relating to Yorkshire and Leeds’ sporting history, the best of which can be seen in our Sport in Leeds Research Guide – click the image below to browse the whole guide. 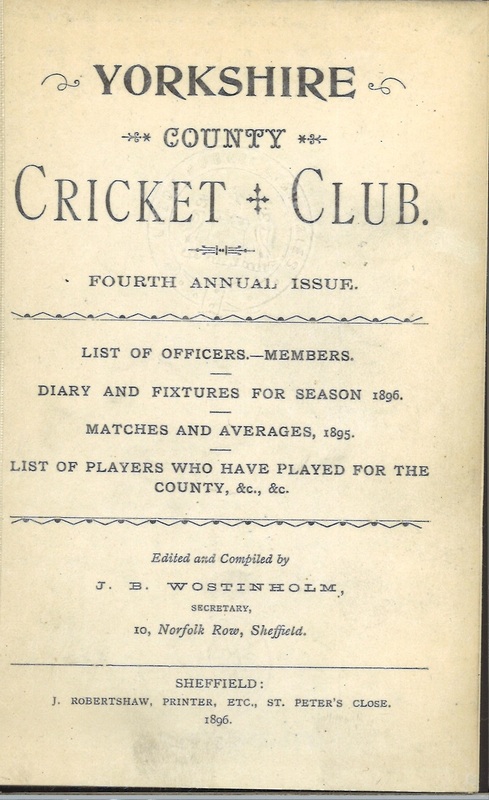 Much of our Cricket stock for Yorkshire can also be found using our online catalogue, while most of our Leeds books and ephemera can only be found using the card catalogue within the department. The guide above offers a convenient way for Library customers to identify the best of both catalogues, but many more items will be found using either search tool. One interesting item that you would find listed in the departmental card catalogue is the map, below – this is a map produced by Leeds City Police in 1948, and shows the car parking facilities available within the city at the time of the legendary Fourth Test between England and Australia. The following photo – an Aerofilm image that can be seen on our Leodis archive of historic Leeds – shows the Headingley Cricket ground in 1947. You can find many more photos of Headingley and other cricket grounds on that same Leodis site. 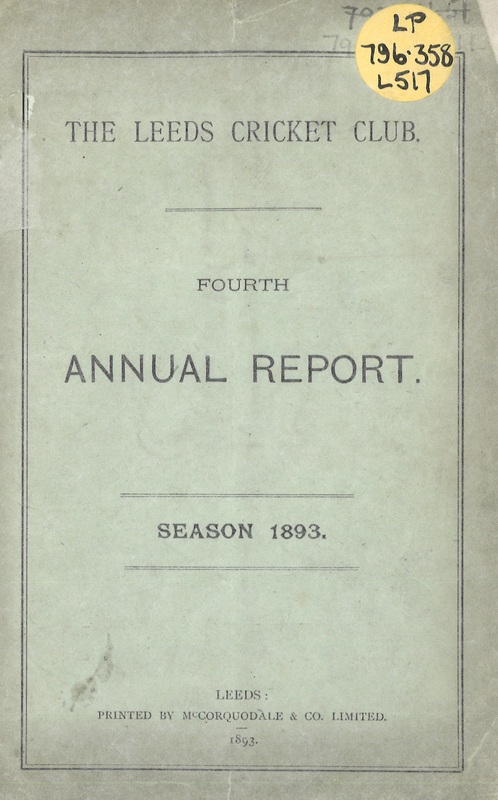 Other interesting items of ephemera held at the Central Library include Yearbooks for Yorkshire Cricket Club, starting in 1896 – images from that first volume can be seen below, alongside the Fourth Annual Report for the Leeds Cricket Club in 1893. 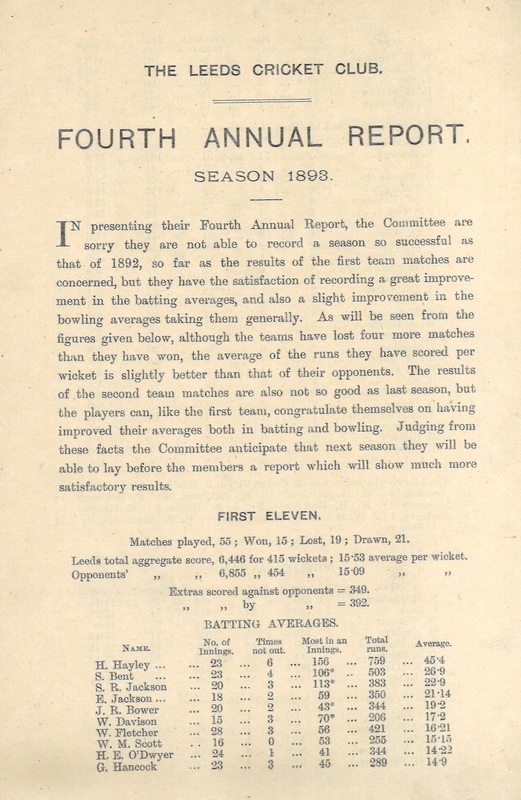 Everything featured here can be found in our Local and Family History department, You can also use the online catalogue to browse a collection of nearly 200 non-local Cricket books, which can be found in our Information and Research department, also housed within the Central Library.